In a Nutshell: LSI Credit Solutions Founder Serge Bagdasarov understands that building and maintaining good credit is essential in today’s world. After beating brain cancer and seeing the mortgage company he worked for sink, Bagdasarov decided to start LSI with the guiding principle of “Good people deserve good credit.” Bagdasarov said LSI can help customers repair their credit and get on the right financial track in an average of 90 to 120 days. The company’s credit repair service not only establishes a plan to turn customers’ credit around, it also initiates disputes and negotiations on the customer’s behalf. Additionally, LSI offers a Lifetime Credit Protection Plan that continually monitors and evaluates credit and comes with a $1 million identity fraud protection policy. Serge Bagdasarov — the Founder of LSI Credit Solutions — came up through the ranks of the mortgage industry, starting as a teenager in a telemarketing department in the late ‘90s. By the early 2000s, Bagdasarov was training loan officers and running the marketing department at the company he worked for. Although he was on the lending side, Bagdasarov began to empathize with consumers with less-than-stellar credit who were being turned down for loans. He explored partnerships with credit repair companies that could help his potential mortgage clients turn things around and secure a loan. 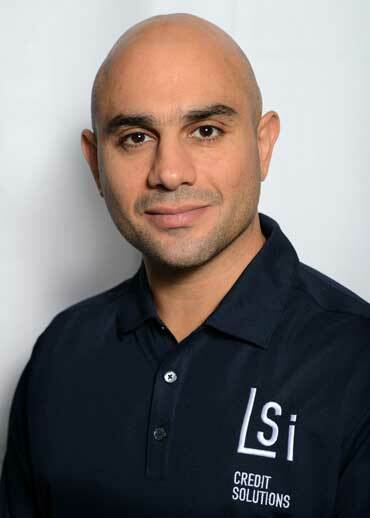 Serge Bagdasarov is the Founder of LSI Credit Solutions. Then, in 2003, Bagdasarov was diagnosed with stage 3 brain cancer. The whole ordeal shifted Bagdasarov’s perspective on life. That’s why, when the mortgage company he was working for declared bankruptcy around the same time he and his wife bought their first house and had a son, Bagdasarov decided to launch LSI Credit Solutions. Bagdasarov saw an opportunity to help the kinds of people his previous employer had to turn down for mortgages. With the guiding principle of “Good people deserve good credit,” Bagdasarov set out to establish an honest and effective credit solutions company that could really help people. Bagdasarov was able to put his new mission at LSI Credit Solutions to the test in a short time. He said one day, shortly after launching LSI, he was sitting in his first, small and cramped office when some good people who were struggling walked in. Bagdasarov helped the family become debt-free within six months and qualify for a mortgage on their dream home. From buying a cellphone to paying for car insurance, Bagdarasov said credit plays a major role in people’s ability to navigate in society today. Some employers even use a credit metric called a hiring risk index. These are often used when an organization is clearing a potential candidate to hold a government position or a military job, he said. Plus, many consumers don’t realize the benefits of going from good credit to great credit, Bagdasarov said. LSI Credit Solutions offers two main services — credit repair and credit protection. A consumer’s first step toward good credit is to get out of debt and improve his or her standing among the credit rating agencies. LSI offers a number of tactics to get consumers out of debt and improve their credit scores, Bagdasarov said. Package prices start with a one-time enrollment fee of $299.99 and $59.99 a month thereafter, which gives clients access to LSI’s credit experts and numerous tools to turn their credit lives around. For those who can’t afford the one-time enrollment fee, the company offers an option to pay $79.99 a month with no up-front fee. Packages include a personal client manager and settlement coordinator who will provide a detailed review of the client’s three-bureau credit report and establish a strategic plan to restore and build credit. 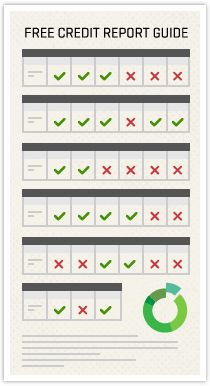 Bagdasarov said each case is unique, but on average, LSI helps clients meet their credit repair goals in 90 to 120 days. The LSI team leads investigations and initiates disputes with creditor and credit bureaus on behalf of clients, Bagdasarov said. The company will also negotiate and make payment arrangements for defaulted bills, including medical bills, traffic tickets, and rent payments on validated collection accounts. Once a settlement or payment plan is agreed upon, he said the client will pay the creditor directly rather than sending their payments to LSI, an arrangement that sets the company apart from many other credit repair companies. He said each violation can cost the collections agencies about $1,000 under the Fair Debt Collection Practices. And LSI clients receive up to 25% of the total awarded settlement if attorneys win the case. Bagdasarov said another key service the company offers is debt negotiations on verified collections. Once consumers turn their credit around, it is important for them to maintain good credit and to protect it as well, Bagdasarov said. That’s where LSI’s Lifetime Credit Protection Plan comes in. The plan costs $19.99 per month and comes with a number of valuable benefits. LSI offers a Lifetime Credit Protection Plan that helps customers maintain good credit and protect against fraud. Customers receive a free yearly credit report covering all three bureaus as well as an annual credit audit by LSI’s credit experts. “No other service will show you a more detailed three-score report,” Bagdasarov said. The plan also includes access to a credit score simulator that helps predict future scores as well as monitoring services for customers’ VantageScore, Hiring Risk Index, auto, and insurance credit scores. 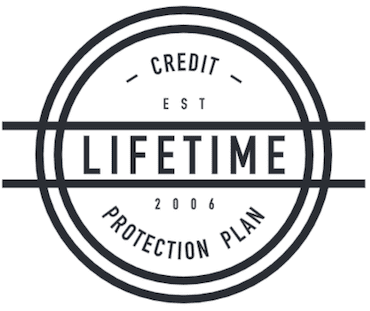 Bagdasarov said clients typically enlist LSI Credit Solutions for its credit repair services, and once they have completed their credit repair plan they have the option to gain access to the lifetime protection plan. “Once they meet their initial credit goals, customers will typically opt out of the credit repair service, and then they can keep our Lifetime Credit Protection Plan if they choose,” he said. LSI Credit Solutions’ home base is in Washington, and Bagdasarov said the company currently provides its services in Texas as well. But it is poised to expand into the national market. “We have our attorneys finalizing our compliance and licensing documents right now, so we’re ready to help people nationwide at this point,” he said. Bagdasarov said LSI also believes in giving back to the community. The company focuses efforts on working with nonprofits and offers educational programs to people who have recently been released from prison or are in rehabilitation centers. “There is no magic wand in credit repair so education is the big key,” he said. Finally, new for 2019, Bagdasarov said the company is rolling out special pricing for society’s heroes.